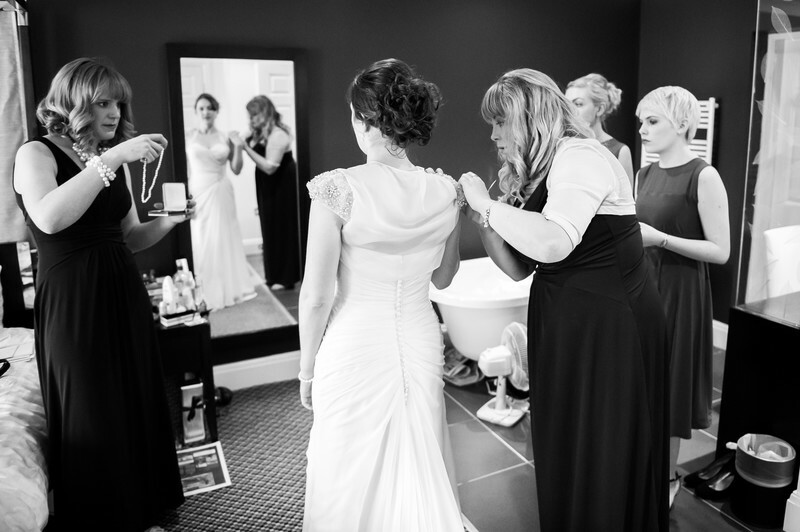 The final stages of getting ready for her wedding at St. Mary's church in the village Lastingham, our bride is helped by her bridesmaids to choose which items of jewellery to wear for her big day. The bride in the photograph is getting ready at The Forest and Vale Hotel in Pickering, North Yorkshire which is around ten miles from Lastingham. Lastingham is a wonderful little village with only a handful of houses, a pub and the wonderful St. Mary's church which is well over a thousand years old, it is a lovely place to visit if you knew it was there. There must be hundreds of similar villages in the UK which are tucked away and only really known about by those in the local area, this one really is worth a visit though. 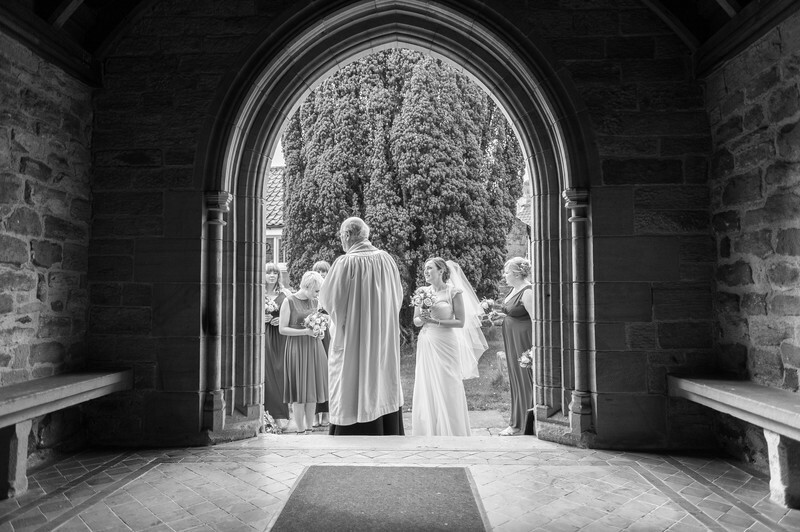 Our bride arrives at St. Mary's with her father and bridesmaids and is greeted at the church door by the vicar. The door frame here with the dark shadow areas makes for an interesting frame to the picture as the vicar talks with the bridal party. 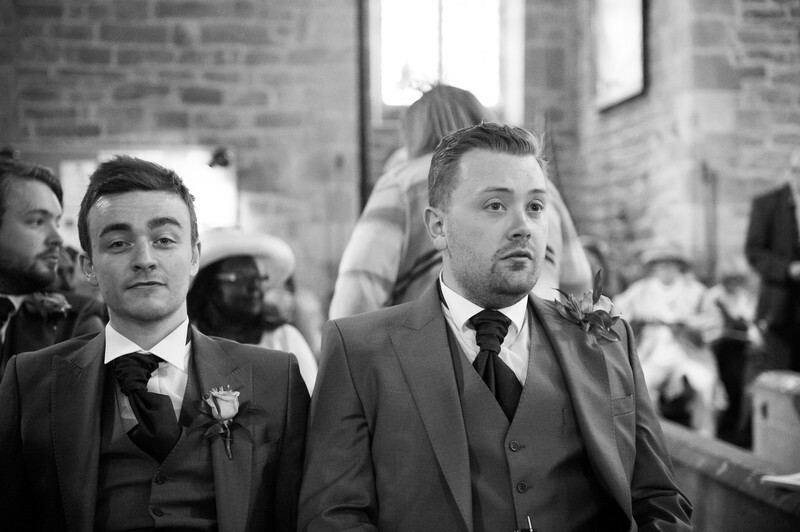 The groom waits contemplatively at the front of the church with his best man for the entrance of his bride to the church. 1/200; f/2.8; ISO 11400; 24.0 mm.